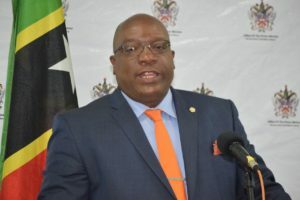 (PRESS SEC) – Under Prime Minister Dr. the Honourable Timothy Harris’ administration, St. Kitts and Nevis witnessed the highest ever job creation numbers recorded by the Social Security Board. “In 2016, we outdid all preceding years with an average of about 24,773 jobs monthly,” Prime Minister Harris, who is the country’s Minister of Finance, reported during his press conference on Wednesday, April 5th, 2017. “That’s just about 25,000 people being put to work in a small country such as St. Kitts and Nevis. Something good is indeed happening,” the Honourable Prime Minister added. Responding to positive developments in the local job market, the Labour Department introduced a robust outreach program in July 2016. The outreach program is designed to assist a more diverse range of jobseekers in bettering their lives and contributing more productively to their families and communities throughout the Federation. A major part of this outreach entails visits to job sites by Labour Department employees who use the face-to-face interactions with employers as an opportunity to get an array of employment vacancy listings. The listings are then posted on the Labour Department’s bulletin board at both its St. Kitts and Nevis locations. They are also emailed to the St. Kitts and Nevis Information Service (SKNIS), which in turn emails them out to national media organizations. Last year, 673 jobseekers registered with the Labour Department, 106 of whom showed up for an interview with the department. The Labour Department subsequently sent out those 106 jobseekers to be interviewed by prospective employers. “Prior to the implementation of the outreach program, employers knew about the agency and phoned in,” Shernel James, Acting Labour Commissioner, told the Press Unit in the Office of the Prime Minister today, Wednesday, April 19th, 2017. At his press conference earlier this month, Prime Minister Harris said earnings data from 2016 show that a lower portion of employees earned minimum wage in relation to 2015 (10% less than in 2015), as well as compared to previous years. The minimum wage in St. Kitts and Nevis is set at $9.00 per hour or $360.00 per week. Dr. Harris further reported that there was an 18% increase in workers earning in the highest income category, according to Social Security data for the year 2016. The three income categories that Social Security bases its calculations on are: (1) up to $6,500.00 ECD per month, (2) above $6,500.00 ECD up to $8,000.00 ECD per month, and (3) above $8,000.00 ECD per month.